The search for images to use on social media can be a difficult one. There are so many things that you have to think about! Does it fit my topic? Is it a great image? Can I legally use it? Should I credit the source? But it doesn’t really need to be that difficult. 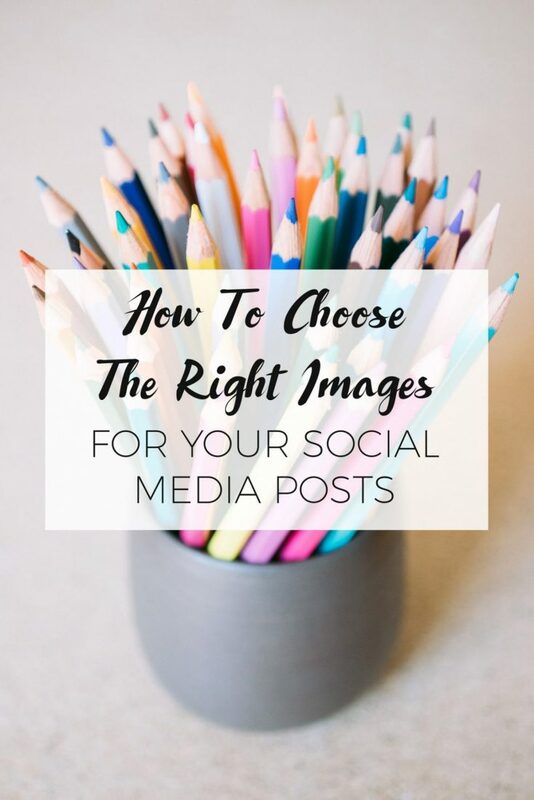 In this post, you’ll find an easy, step-by-step guide to choosing the perfect social media images that will grab attention and sell your brand, all completely legally. This is the first thing you should think about when searching for social media images. You definitely don’t want a blurry, low-quality picture representing your brand! But what makes an image high quality? You don’t want your image to be too small; otherwise it may appear blurry and stretched on social media. Get to know your social media sizes. For example, Facebook displays timeline images at 470 x 470 pixels. Your image should be at least this large in order to look as good as possible. The focal point of each image should be clear. Look for blurriness in the photo itself, a trademark of an inexperienced photographer. Proper lighting creates depth and texture, and creates a particular mood. The light should add to the photo rather than being too dark or too bright. There are many other elements that contribute to a great photo, but generally, you’re going to know if an image looks good or not. Go with your gut on this one! The photo below is an excellent example of a high-quality image. The focal point is very clear (the orange fruit on the mug), and the lighting is excellent. Show Emotion. Consider the photo below of children splashing in a fountain. Can you help but smile at this? Faces (or even postures!) can show happiness, joy, fear, sadness, exhaustion, and many more emotions in a way that objects simply can’t. And if the shots are candid? Even better! Pictures that are too staged can come across as cold and fake. Connect with viewers. By using photos that include people, it makes it easier for your visitors to imagine themselves in that photo, taking that action, feeling that emotion. This is especially useful if you want them to envision using your product or service! If you’re going to add text on top of the image, perhaps for an ad, or a quote, then you don’t want the picture to be too busy. It’s important that the text will still be readable on top of the photo. You may also want to add a partially-transparent layer over the photo using editing software like Photoshop or Canva to make it even easier to read. The picture below has the perfect amount of “white space” (blank space) for adding text! I mentioned this a little bit above, but one of the most common problems that I see with stock images is that they’re too staged. You see these everywhere, and the last thing you want to do on social media is to blend in with everyone else! Plus, they make it difficult for you to connect with your target audience. One way to do this is to use natural images that look like something you might capture every day with your smartphone, but better quality! For example, the photo below looks like a photo from a meal with friends, rather than something staged and fake. This is critical for each and every marketing effort that you make in your business. You need to know exactly who you want to reach – their age, gender, location, occupation, needs, etc. Then, once you come up with those concepts, apply those to your photos. Choose images that feature your target audience in them. If you’re reaching out to moms, then choose images with mothers and/or children. If it’s business owners, share settings that incorporate their lifestyle. You want your audience to instantly connect with your image and associate themselves with your brand. For example, if your target audience includes young business owners, then you might use an image such as the one below. It’s high-quality and features a setting that business owners might be familiar with. You’ve worked hard to establish your brand. Make sure that your images reinforce that! Make a list of adjectives that describe your brand, exactly as if you’re talking about another person. Let’s say that your adjective list includes the words: bright, energetic, vibrant, fun, young. Then choose images that you would describe the exact same way! The image below would be a great fit for that list. Let’s be honest; people consume hundreds of images on social media each day, and they often see each one for less than one second. So your image needs to pop out! Color is one of the easiest ways to do this. You don’t want to incorporate this technique with every image that you use, but consider it for ones that are particularly important, like an advertising campaign. Bright colors will stop people in their tracks. Consider the image below: would this make you pause for an extra second? Sometimes, that extra second is all you need to make a sale. There are a variety of licenses that stock images fall under. The first rule of thumb is this: if you don’t know what the license is, don’t use the image! It’s not worth the potential legal ramifications, much less unethically using someone else’s image. Here are a few of the more common licenses. You can use these images for free, but only if you’re not using them commercially at all. So if you’re designing an invitation for your birthday party, or posting it on your personal Facebook account, that’s perfectly fine. But you’ll need to purchase a commercial license if you want to use them for your business. Creative Commons means that you can use the image, but only if you give permission to the owner of that image. Here are some great instructions on providing correct attribution. You can use these photos however you’d like, personally or commercially. There are often limitations when it comes to selling the images themselves, however. There are also a variety of other licenses, so I would encourage you to become familiar with the license before you use the image. You can find Barn Images’ right here. So remember, when it comes to choosing social images, you want something high-quality, fitting for your brand and audience, and legal to use. Then, have fun with it! What are your favorite images that you’ve used on social media?